Many of us have purchased shoe organizers at one time or another but they aren’t only limited to storing shoes! 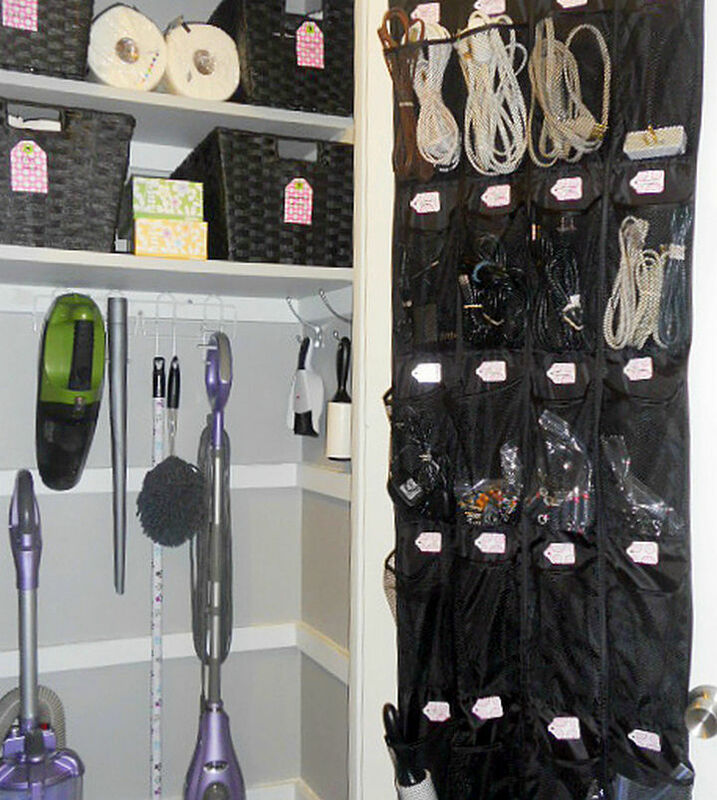 Shoe organizers are extremely versatile and can be used to store and organize items in nearly every room of your home. Possibly the best thing about using shoe organizers is that you can store everything from toys, stationary, and food items and it won’t take up any extra room as it hangs on the door. They are inexpensive and will help organize your home without using expensive and bulky storage containers. 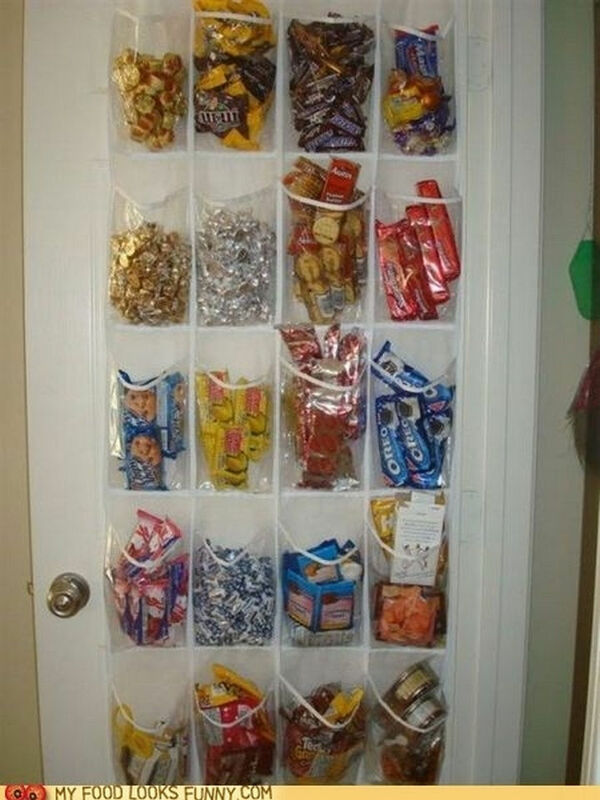 1) Store all your yummy snacks all in one place! 2) Keep children entertained on a road trip. 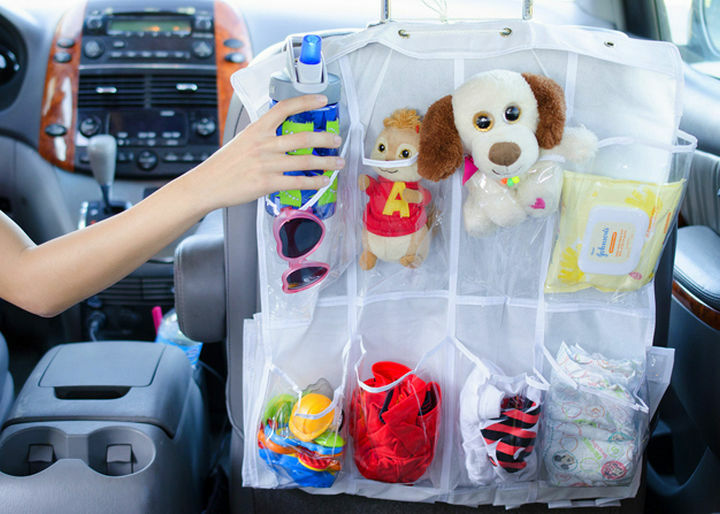 Have all your kids toys and supplies organized and at arm’s reach for easy access. Simply secure the shoe organizer tightly to the headrest using heavy rope or zip ties. 3) Maximize your bathroom space. Keep all your brushes and bathroom necessities in one place instead of searching through bathroom cabinets in the morning. 4) Organize your camping supplies. 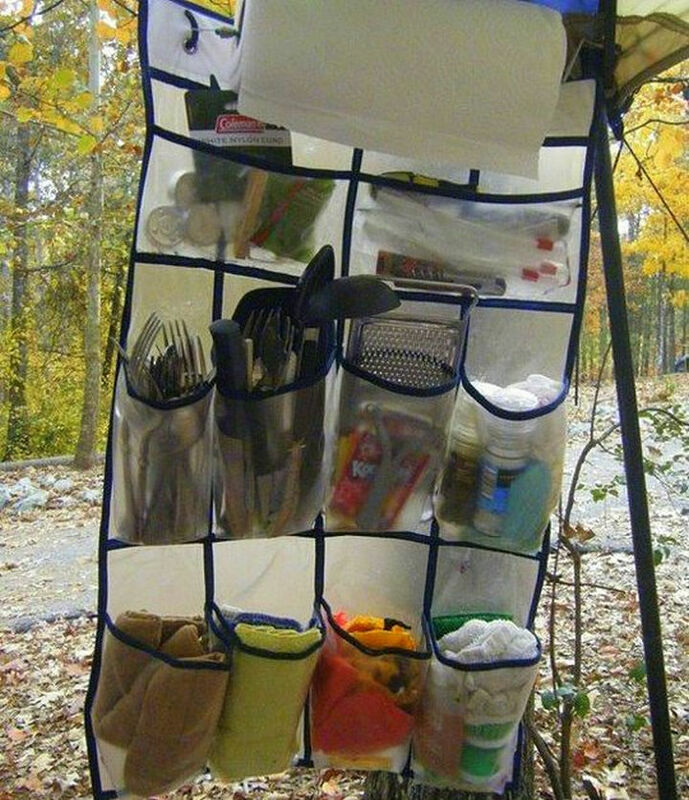 Shoe organizer ideas for your next camping trip! Simply roll it up and take it on your next camping trip to keep your utensils, food, kitchen supplies, and many other supplies off the ground and easily accessible. 5) Clean up your cleaning supply closet. 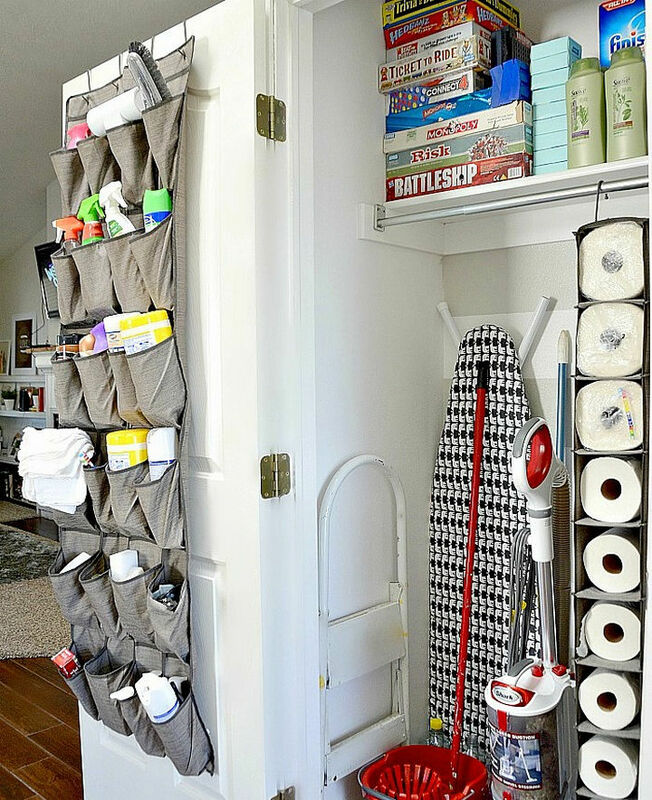 We could all use more shelves in our closets but why bother when you can store so many cleaning supplies with these shoe organizer ideas. 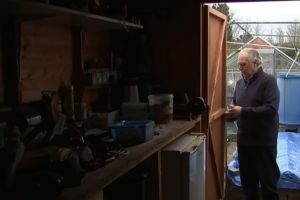 Here are some great tips for building a DIY cleaning closet. 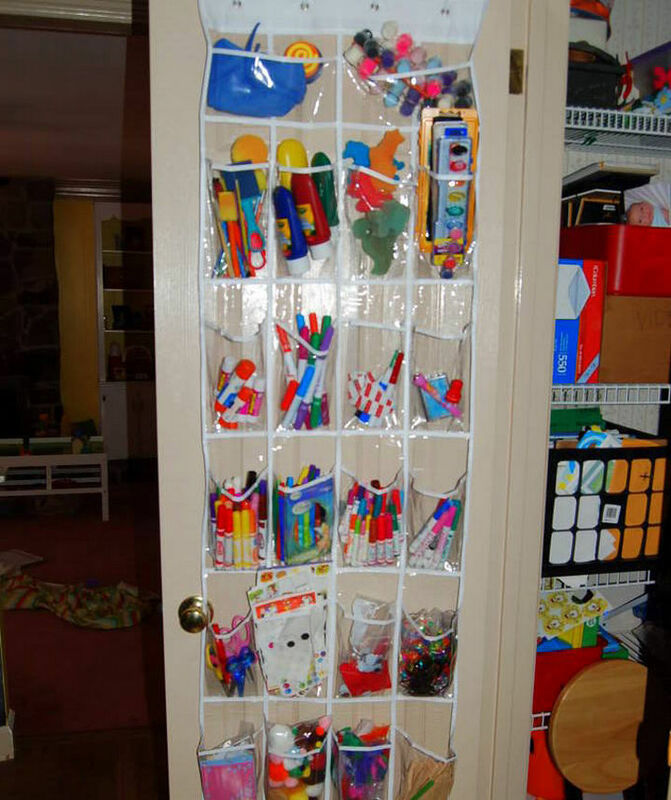 6) Organize kids craft supplies. Kids love to draw and paint so help them organize all their craft stuff by setting up a shoe organizer for their art and craft supplies. It is also a great way to keep paint and other supplies out of reach of tiny hands by storing them on top. 7) Quickly find first aid supplies. 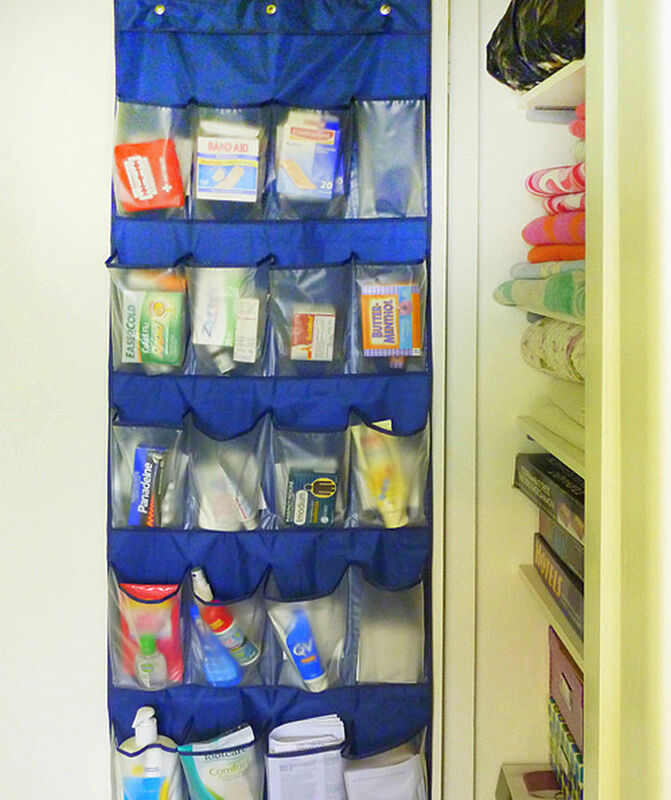 We never know when an emergency can happen so use a shoe organizer and have all supplies organized in one place for quick access. 8) No more lost tools with this outdoor organizer. 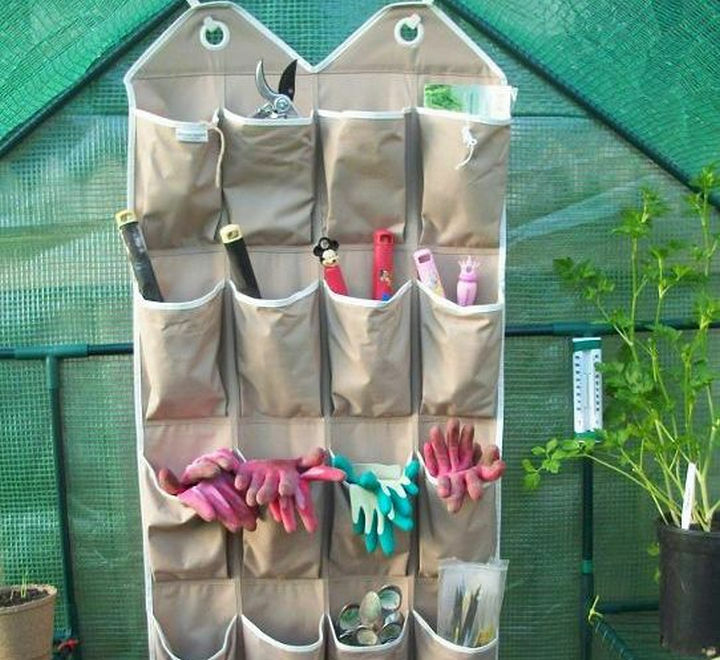 Shoe organizer ideas for your gardening supplies! 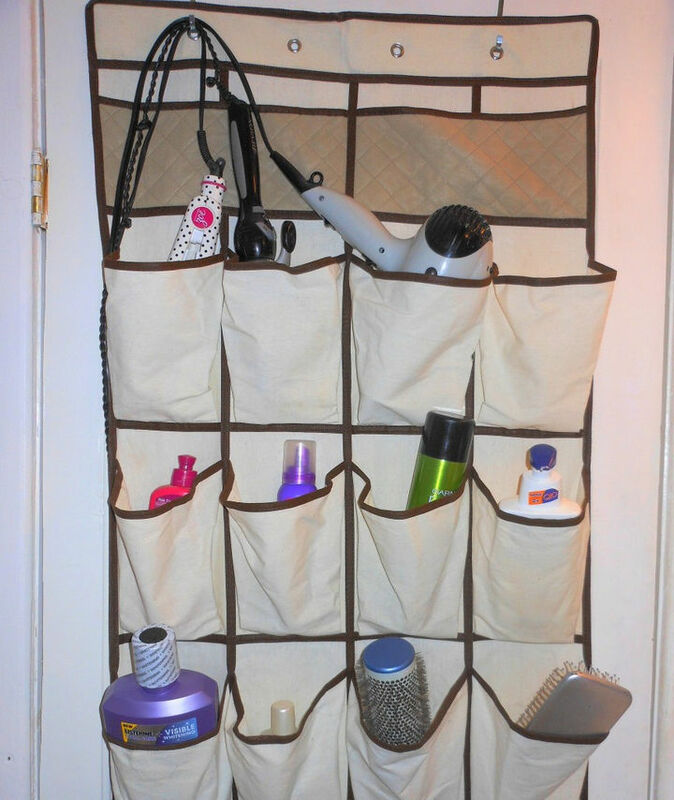 Easily store and sort your garden supplies with a shoe organizer made of fabric or plastic. 9) Keep your gift wrap in perfect shape. 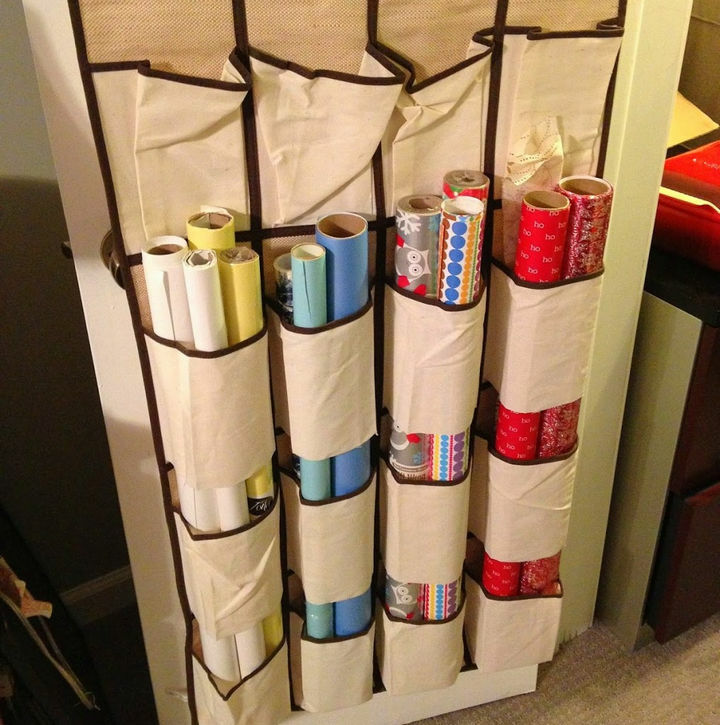 By making a quick modification to any standard shoe organizer, you can organize all your gift wrap paper. Simply cut the bottom out of two or more rows of a shoe organizer or follow these instructions for making a wrapping paper holders. 10) Sort and organize LEGO blocks. As a kid, I used to throw all LEGO bricks into a box but finding a piece I needed meant searching through a box full of LEGO pieces every time! 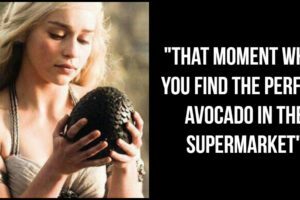 Frustrating! 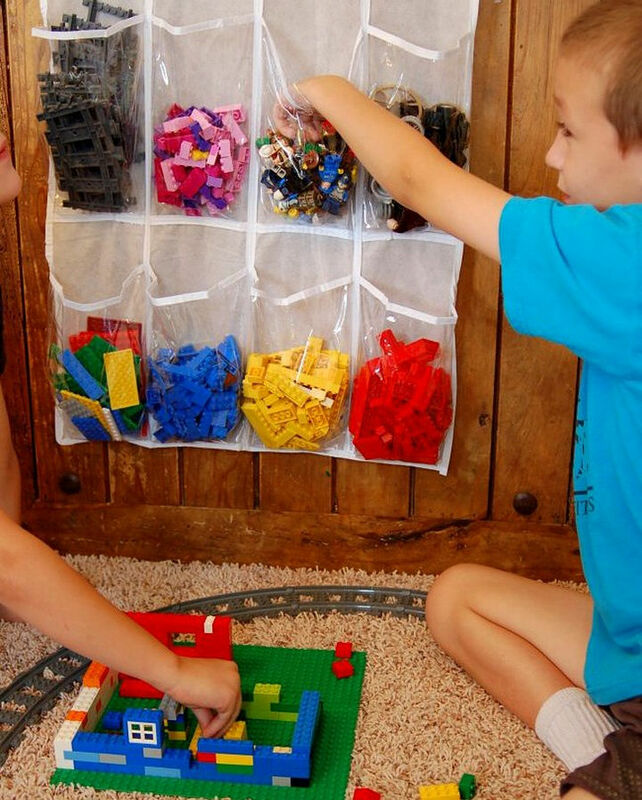 Instead, use this great tip and use a shoe organizer to store your children’s LEGO blocks and even sort them by color and type! 11) Organize your home office. When it comes to a home office, space is everything but why not turn a spare closet into a home office! 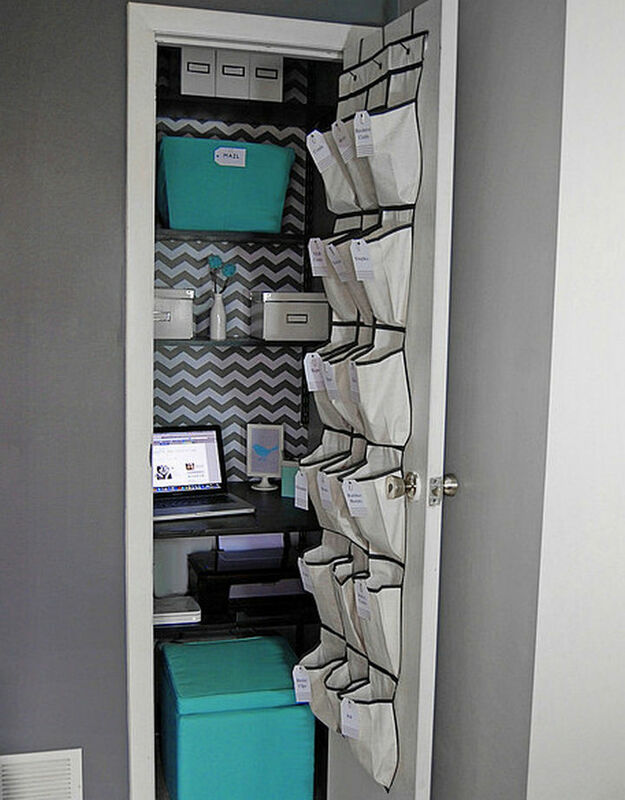 As crazy as it sounds, it works and use these shoe organizer ideas to help maximize space as you follow this tutorial for creating a DIY closet office space. 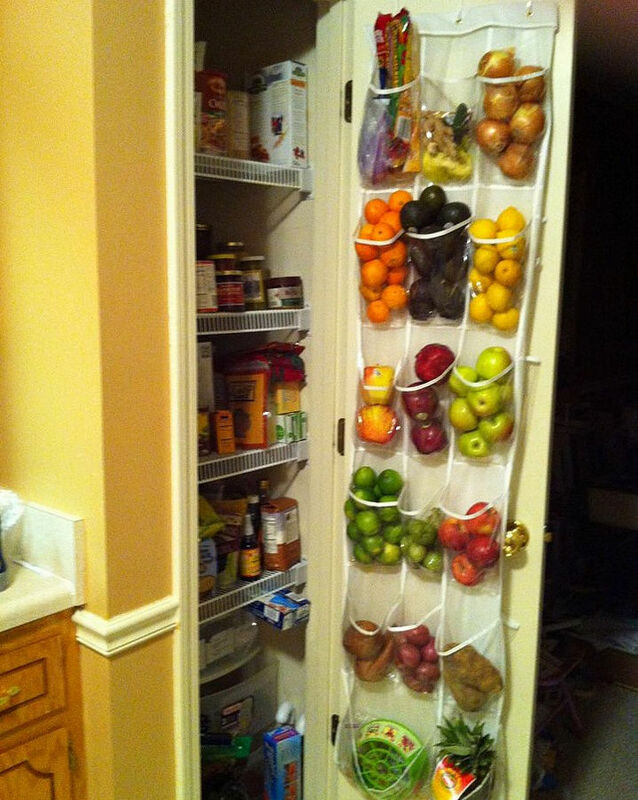 12) Store fruits and vegetables in the pantry! 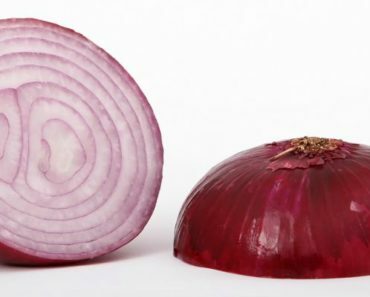 Not all fruits and vegetables need to be refrigerated; therefore, store fruits and vegetables such as bananas, tomatoes, and apples in a shoe organizer and gain some extra room in your refrigerator. 13) Give your scarves a new home. With so many types of scarves and shawls, keeping them organized in a closet can be a challenge. 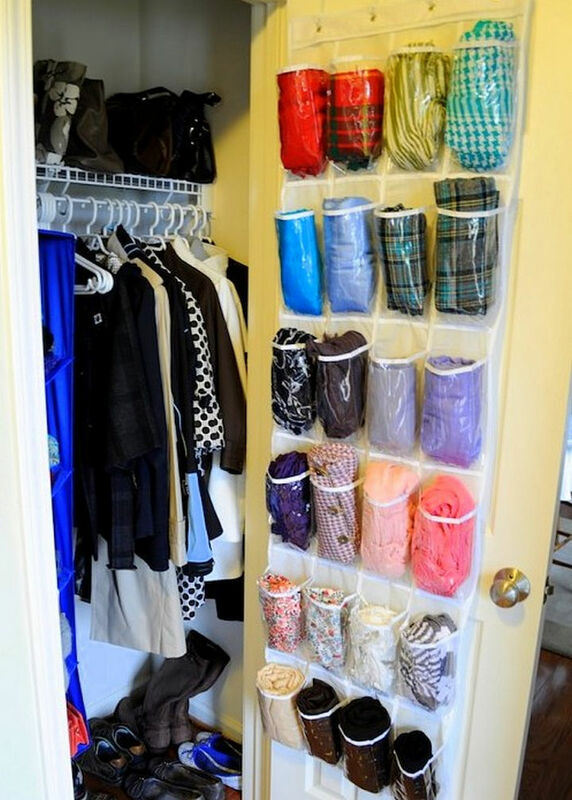 Instead, store them all together in a clear plastic show organizer and easily find that scarf you’re looking for. Most people store spray paint on shelf but finding that perfect color sometimes means digging all the way to the back of the shelf. 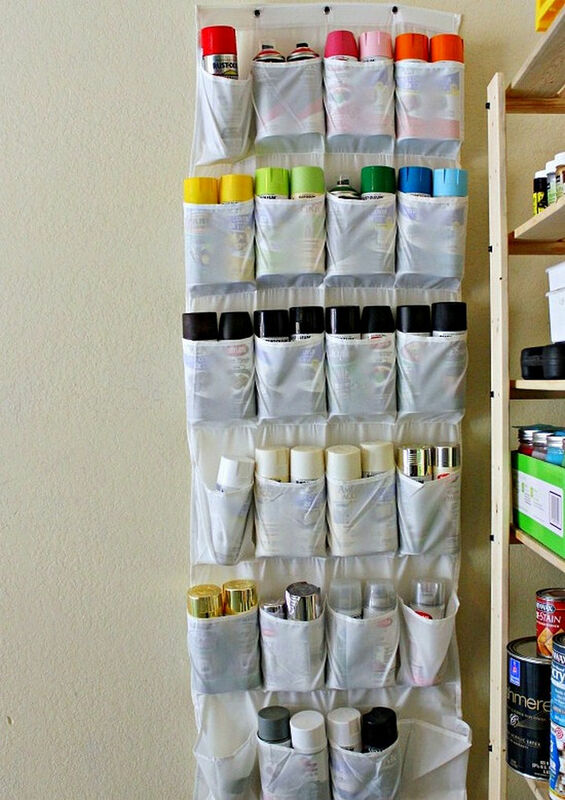 Store spray paint cans in a shoe organizer instead and easily sort them by color, brand, or type! 15) Running out of space in the dresser? 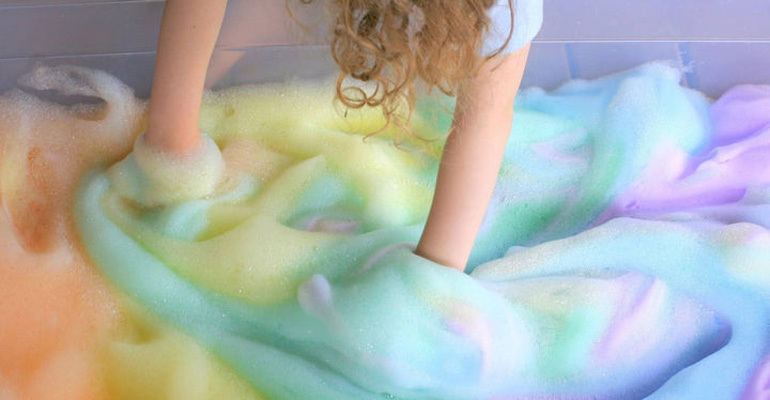 Kids can outgrow their dresser very quickly because let’s face it, kids always need clothes! 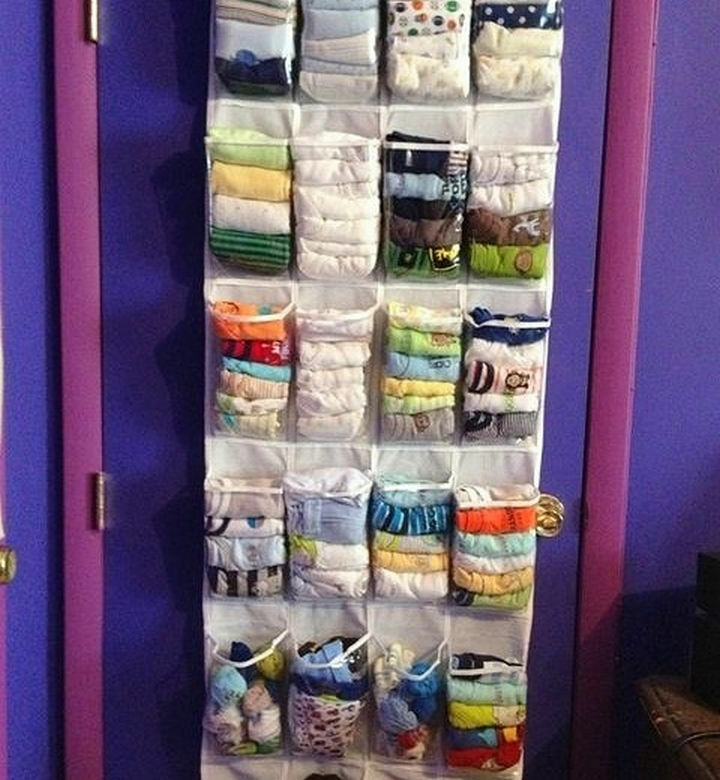 If you’re running out of space in their dresser or simply want an easier way for them to find their socks and undergarments, store them all in a shoe organizer. 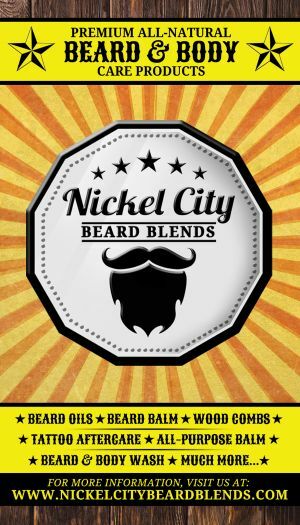 My nephew used to empty his dresser by throwing clothes on the floor until he found the piece of garment he wanted…this tip would have been handy! 16) Give your utility closet a makeover. Utility closets are always full of knick knacks that we never use but maybe that’s because we can’t find them when we need them! Here is a great tutorial for creating a rockin’ utility closet where you won’t cringe when opening the door and the shoe organizer is an important piece to this closet makeover. 17) Create the perfect planter. How great would it be to have fresh herbs in the kitchen or a door full of lovely plants in a sunny room in your home. 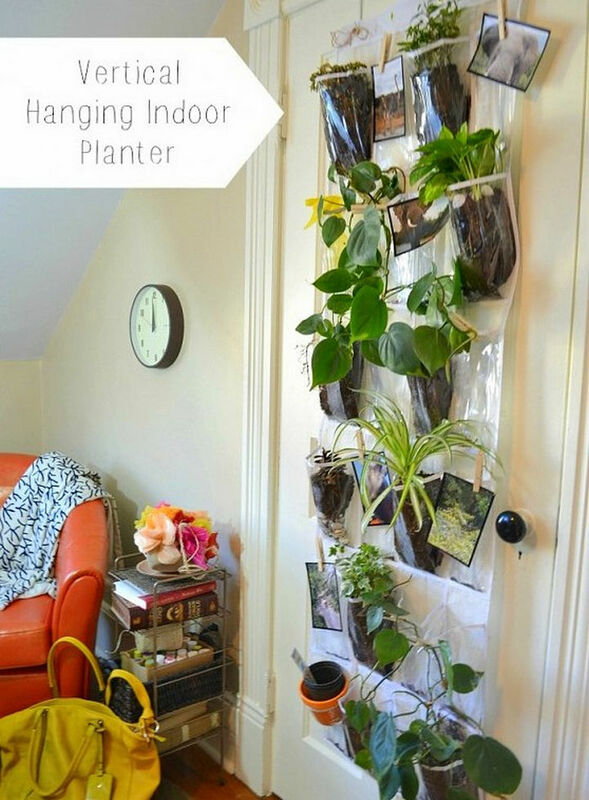 By using a shoe organizer inside OR outside, you can create a vertical hanging planter using a shoe organizer for all your plants. A family can quickly accumulate a ton of water bottles but unfortunately, they can take up a lot of cupboard space because of their sometimes bulky size. 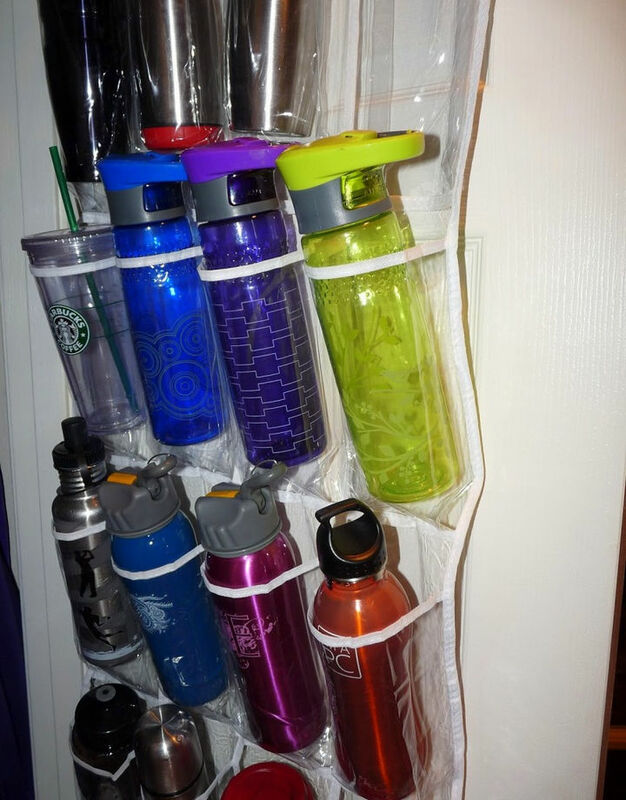 Instead, store all your water bottles in a shoe organizer and reclaim precious cupboard space in your kitchen. 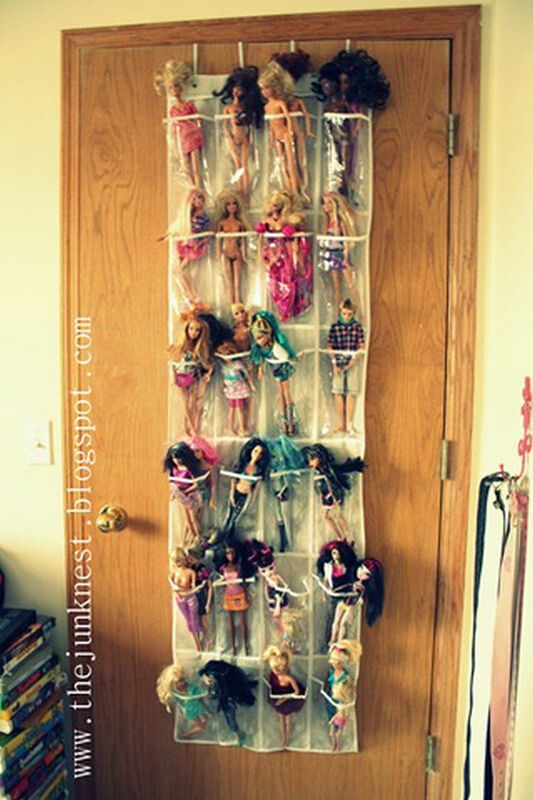 19) Shoe organizer ideas for storing all your child’s Barbie dolls. If your child loves Barbie dolls, they can add up quickly. Learn how to store up to two Barbie dolls in each shoe compartment of your shoe organizer. 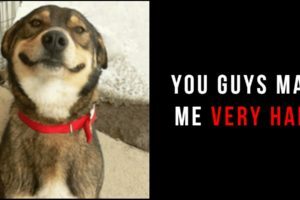 20) Store surplus shoes under your bed. If you have a collection of shoes that you only wear on special occasions, keep them clean all year round with a handy under-the-bed shoe organizer. Watch how easy it is to assemble your own under-the-bed shoe organizer. Even with all these great uses for shoe organizers, let’s not forget that they are also great for storing shoes that you wear regularly! 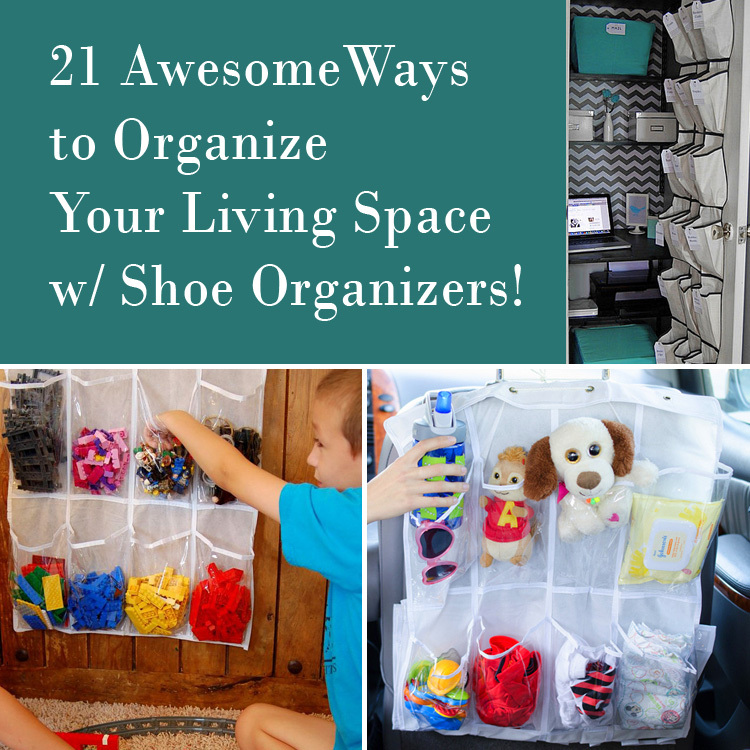 The amount of uses for shoe organizers is nearly limitless but hopefully, these 21 shoe organizer ideas will help you! 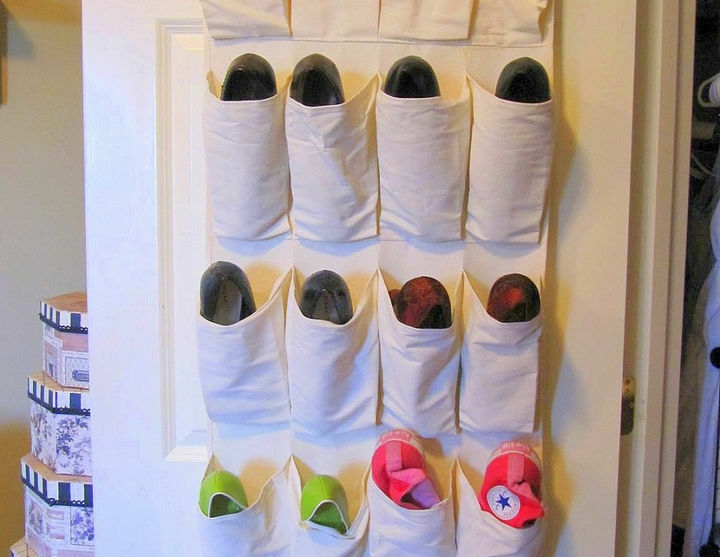 Please share these 21 useful ways to store household items using clever shoe organizer ideas with your friends and family and help them find new ways or organizing their homes. 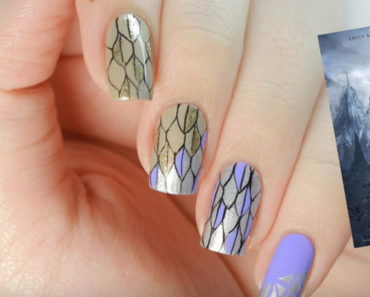 Create This Feathered Frost Coat Nail Art Design Inspired by The Huntsman!